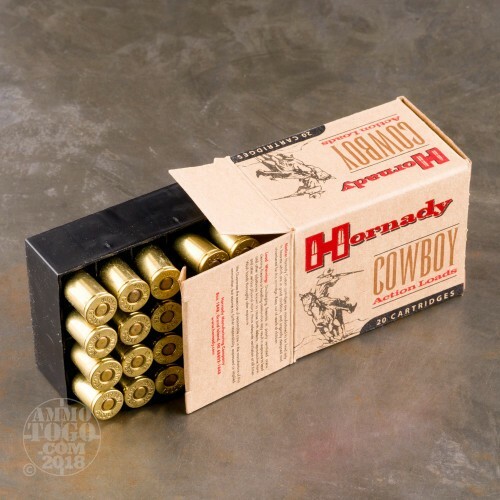 Are you planning on doing some cowboy action shooting, and would like a modern round to give your performance a little boost? 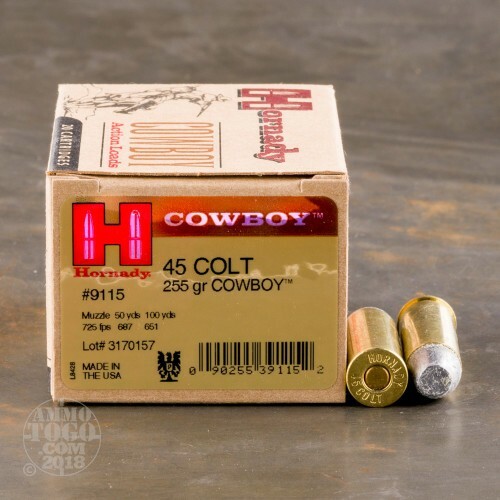 Then look no further than this quality 45 Long Colt cartridge from Hornady’s Cowboy line of ammunition! Designed to work flawlessly in a revolver, this round’s 255 grain swaged lead bullet will flatten on impact rather than fragmenting, making firing on steel targets a significantly less risky pastime. The bullet’s unique knurling system has a layer of lubricating wax all along its bearing surface, so it will foul your bore very little for a lead projectile. Its lubrication and perfect symmetry make this bullet extremely accurate as well. Hornady’s propellant burns exceptionally clean, even further lessening the need to frequently scrub out your pistol to preserve its accuracy. 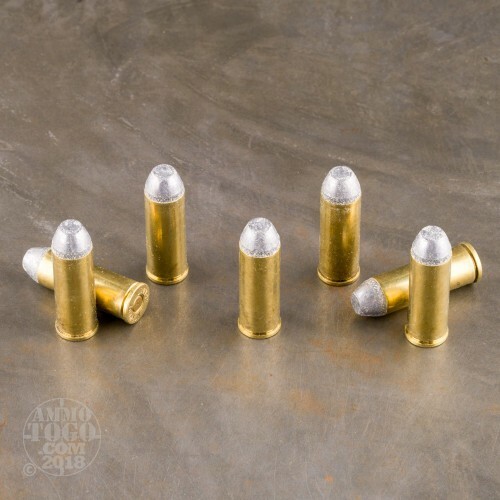 This round’s primer needs only the gentlest kiss of a firing pin to spring into action, and its brand new brass casing sports the quality that demands it be kept for handloading. 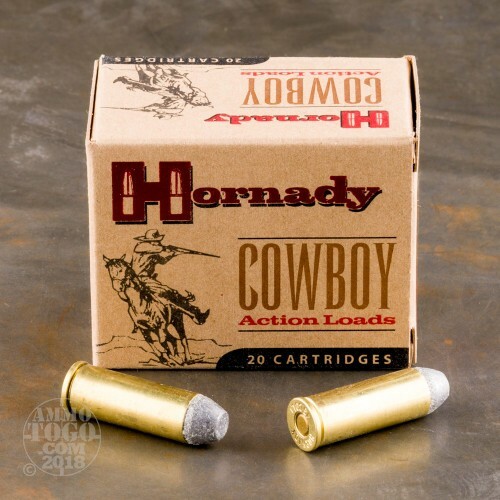 This ammo is especially suitable for my old Colt SAA because of the lower muzzle energy.